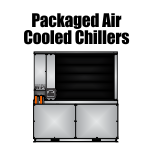 WPI can provide chillers that are in stock, but can also provide custom design engineering for your project. Whaley’s presence nationally and internationally in the concrete business has grown significantly in the last 15 years. If your concrete process is a very critical load, we recommend going with a modular chiller system to provide optimal redundancy. 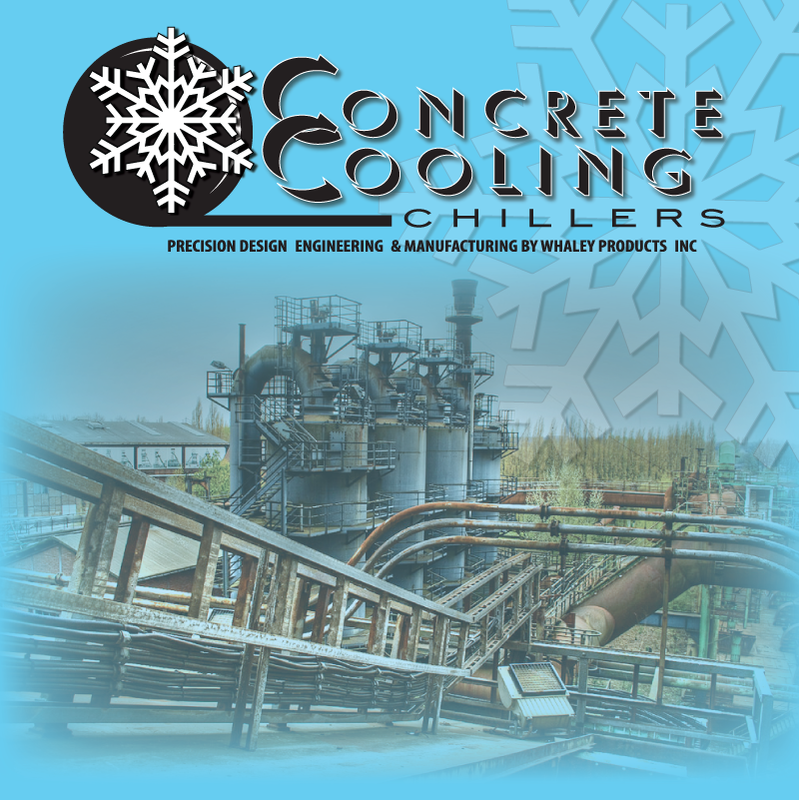 Contact an experienced concrete cooling engineer today. Also, read below to learn some useful information regarding chiller sizing for concrete batch applications. For concrete applications, your thermal load capacity needs to be the single most determining factor in your chiller buying decision. 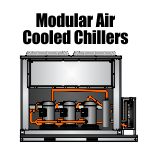 Air cooled chillers are normally installed for concrete cooling applications because of their ease of installation. 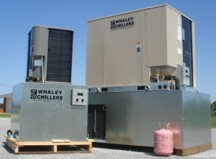 Sometimes WPI installs FRP Whaley cooling towers if the required temperatures are above 70degF. 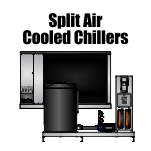 Water cooled chillers can be installed as well with a cooling tower removing the heat from the water cooled condenser. 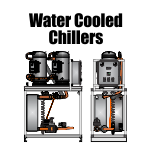 The warmer your water feed, the fewer yards you can cool with your chiller system. 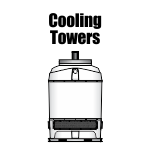 High ambients lower the chiller’s capacity and make it less efficient. You should always size your chiller based on maximum summer high temperature. If it seldom reaches 100F, but usually stays around 80F, then you could be safe going with a 90degF factor. 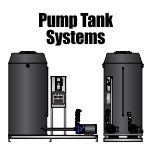 The larger the volume of the water batch you mix to each concrete yard, the less yards worth of cooled batch water that the process can produce per day. 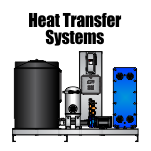 If you use part chilled water, and part unchilled water in your batch process when your current capacity requirement drops below 100%needed, you can save money on operating costs, most notibly energy. 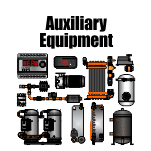 A modular chiller system would be ideal in this situation becuase you could stage in modules as needed per the load requirement. 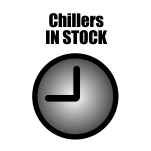 You could have 2nd, 3rd, and 4th units sitting and waiting to be used, saving money all the while. However, when load increases back up to 100%, the 2nd, 3rd, and 4th units kick on automatically to accommodate. 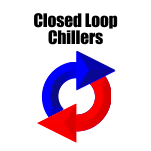 Some concrete companies use their chilled water loop for multiple purposes(wash out or pre-cooling mixer), then this will reduce the chiller’s daily capacity. 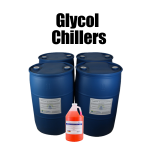 You will gain heat in the system through the batch tank walls, the circulation and supply pumps, and the circulating lines. 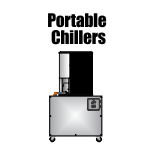 Most chiller sizing professionals recommend sizing chillers for 20% over theoretical load size to make up for this additional heat gain.